Writing is one of those things that’s easy to overcomplicate. If you’re not comfortable with it you’ll tense up, even though your head and heart are thinking something else. And if you’re in business for yourself, stiff prose is not what you’re looking for. Clients want to connect with a real person, not some faceless brand. Which is why writing conversational copy is so important; it allows you to humanize your copy and speak their language. So how can you create copy that’s more conversational, copy that actually sounds like you? 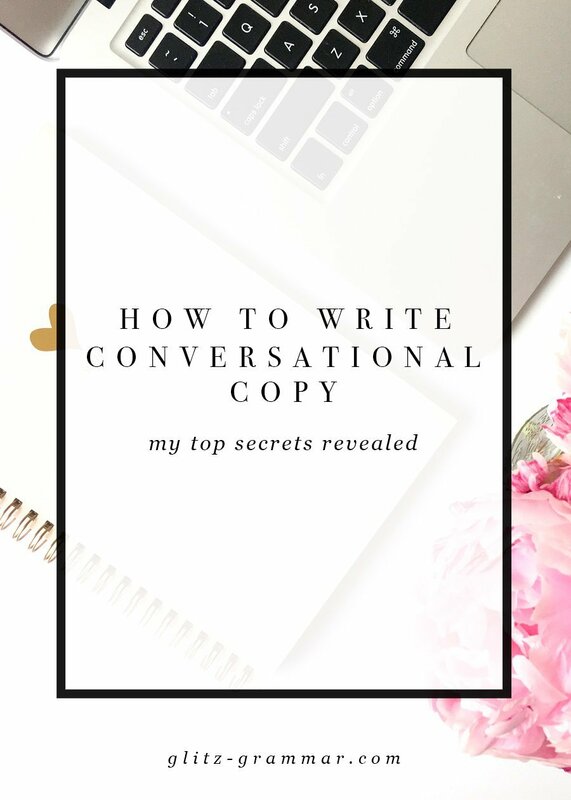 Here are my top secrets for writing conversational copy. Conversational copy is what makes you sound like a real person. And if you’re a solopreneur selling handmade goods on Etsy, I want to feel like that’s who I’m purchasing from–it’s all part of the brand experience. Conversational copy is also easier to read, easier to digest, relate to and fosters a connection with your audience. And at the end of the day, those elements translate into sales–yay! Lifestyle businesses are a lot less formal than their corporate counterparts, so drop the overly-professional prose and embrace the world of human-sounding copy. If you want your copy to be more conversational, you need to axe all those words you would never use in real life. I’m talking about jargon, friends. All of that cutting-edge, state-of-the-art, utilizing, marketing speak has just got to go! Jargon doesn’t make you sound smarter, it makes you sound distant, stiff and formal. Lifestyle brands that are trying to create a connection with their audience need to relate to their clients by speaking in their language. When it comes to jargon, just say no! Jargon doesn’t make you sound smarter, it makes you sound distant, stiff and formal. Sometimes, grammar rules are meant to be broken. My inner copyeditor is screaming inside for just having typed that, but there’s an exception to everything! Case in point, when we want our copy to sound a certain way. Then I’m giving you the green light to manipulate grammar rules a bit. Never start a sentence with but. But I’m saying you can! Never end a sentence with a preposition. But it’s ok if you need to. Only use periods to end a complete sentence. Sometimes.You.Need.To.Make.A.Point. Catch my drift? It’s ok to relax your lingo a bit, it will make you more relatable. It is a bright and sunny afternoon and we are enjoying our time at the beach–it is fantastic! It’s a bright and sunny day and we’re enjoying our time at the beach–it’s fantastic! See the difference there? One of the best ways to catch these is to read your copy out loud. In real life, we use contractions when we speak. Having the words broken up sounds robotic, and that’s probably not what you’re going for. 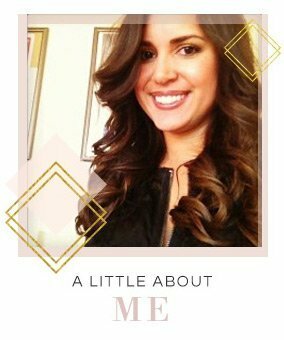 If you’re having trouble stepping out of your business zone and embracing a friendlier tone, visualize yourself writing to a friend–a friend who happens to be your ideal client. When you picture yourself chatting with just one person, rather than an audience, it’s easier to relax your tone and your choice in words. Conversational copy is a great way to humanize your brand. Use contractions, manipulate grammar rules, visualize your ideal client and axe that jargon to create more conversational copy–words that sound like you! Great tips that I will use! thanks! That’s great! So happy you found it helpful!